It is very cold outside. It’s going to get colder. And it will snow. It will snow a great deal tomorrow. My thoughts turn, without help, to spring and gardens and planting. 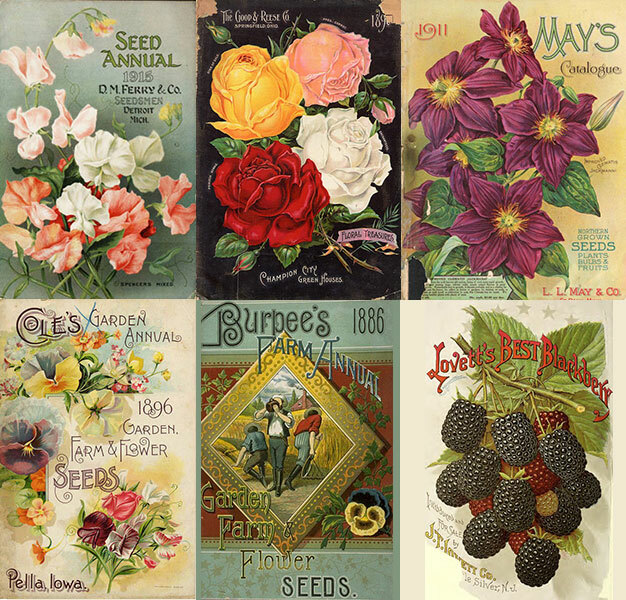 Seed catalogues are filled with color and dreams, the scents of soil and flowers and greens. The tenderness of sunlight and shade. It is gratifying to know that people have sought a winter lifeline in seed catalogues for more than one hundred years. The artwork is an inspiration.